42 percent of Democratic primary voters in Kentucky on Tuesday chose "uncommited" over Barack Obama. In Arkansas, a Tennessee attorney finished with 41 percent of the vote. ABC's Good Morning America, NBC's Today and CBS This Morning all skipped the embarrassing story, despite the fact that CBS and NBC covered the far less interesting Republican primary. During the month of May, Obama suffered through a series of humiliating protest votes in Democratic primaries. On May 8th, the incumbent President nearly lost the West Virginia primary to a convicted felon. 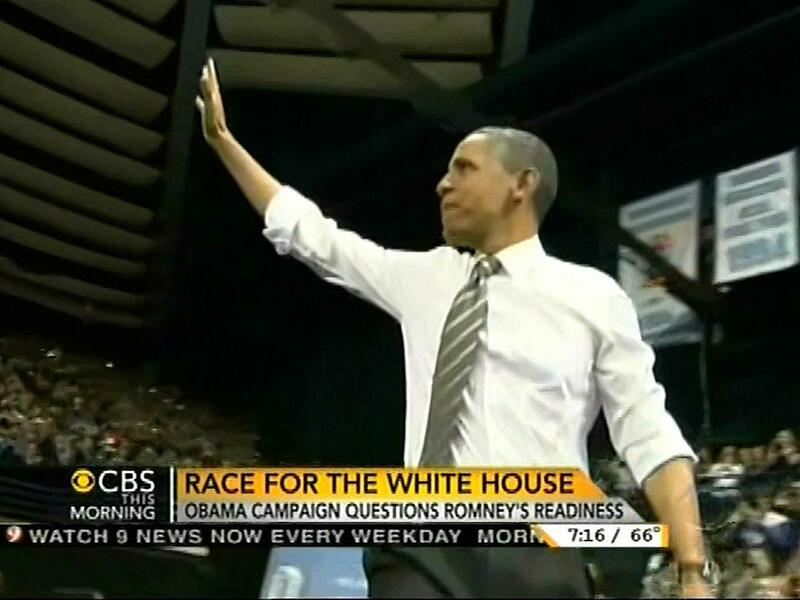 Yet, except for a single mention at 4am on May 9th, the networks have buried Obama's bad news. Today news reader Natalie Morales explained, "Just under six months to go until election day and Republicans are coming together behind Mitt Romney, who picked up victories in the Kentucky and Arkansas primaries on Tuesday." This Morning co-anchor Erica Hill boringly noted, "In the U.S. presidential race, Mitt Romney won primaries in Arkansas and Kentucky yesterday, bringing him closer to cinching [sic] the Republican nomination." Part of the news is reporting interesting things that happen. Mitt Romney winning yet another primary isn't interesting. A sitting Democratic President suffering his third primary protest vote against non-serious candidates is interesting. Or it should be to journalists concerned with facts and trends. Such a protest vote should at least warrant a mention. Democratic voters going out of their way to register displeasure, despite the fact that Obama obviously will be their nominee, indicates anger and problems ahead for the President. On May 9th, GMA, Today and CBS This Morning all skipped convicted felon Keith Judd earning 43 percent of the vote in West Virgnia. The only network program to cover it was the CBS Morning News, a show that airs at 4am. DANIELLE NOTTINGHAM: On the Democratic side, President Obama won the West Virginia presidential primary but a Texas inmate got about forty percent of the votes. Keith Judd is serving time for making threats at the University of New Mexico in 1999. He got on the ballot by paying a twenty-five-hundred-dollar fee and filling out a form. West Virginia's coal industry opposes the President's environmental policies and the state's Democratic senator and governor haven't said if they'll support the President. In 2004, incumbent President George W. Bush's worst showing was only winning 79.5 percent of the vote. In 1992, Pat Buchanan's shock win in New Hampshire against incumbent George H.W. Bush was big news. The New York Times put it on page one, noting how the President endured "voters' wrath." On the February 19, 1992 World News Tonight, Jeff Greenfield called it an "ominous message" for the President. Bush went on to lose the 1992 presidential election to Bill Clinton.